Driver Tablet – integrated into the steering wheel, it allows the driver to control the larger display, navigation, seat adjustment, and other features that are usually manipulated through knobs or physical buttons. 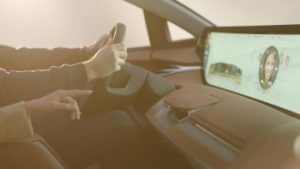 The electric vehicle also caters interactive technology such as video and phone conferencing within the car and treating the passengers with its “Shared Experience Display,” which allows them to enjoy videos together when the vehicle is in Level 4 autonomous mode. This feature occupies most of the dashboard real estate. It is also designed to communicate and synchronize with the user’s calendar and locations through its built-in 5G hardware. 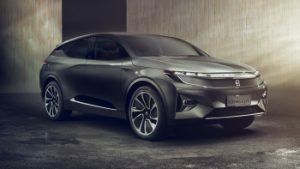 According to Byton, their concept car will be built and sold first in China next year before paving its way to the US and European markets by 2020, with price starting at $45,000. 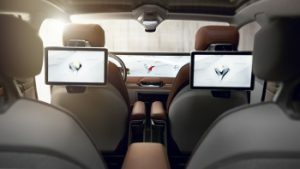 It will offer two versions of this vehicle: (1) a rear-drive model with 71-kWh battery and a range of 248.5 miles, and (2) a four-wheel-drive model with 95-kWh battery and a range of 323 miles. The former can provide 268 horsepower and 295 pound-feet of torque, while the latter can provide 469 horsepower and 523 pound-feet torque. Auto Insurance – Another Barrier to Electric Vehicle Ownership?